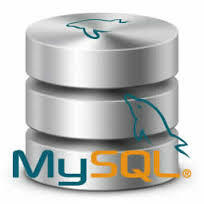 MySQL DATE data type is very important data type. Knowledge of this data type and its corresponding function makes the life of developer easy. So every developer and DBA must have the knowledge of this data type. MySQL comes with several data types for storing dates in its database system: DATE, TIMESTAMP, DATETIME and YEAR. MySQL uses yyyy-mm-dd format for storing a date value. This format is fixed and it is not possible to change it. For example, you may want to use mm-dd-yyyy format for your application but you can’t. Instead, you follow the standard date format and use the DATE_FORMAT function to format the date the way you want. When strict mode is disabled, MySQL converts any invalid date e.g., 2015-02-30 to the zero date value 0000-00-00. To insert the current date into your table you can use MySQL's built-in function CURDATE() in your query.